In this overpopulated, overdeveloped and overexploited world we now find ourselves in, it’s nice to know there are still places so remote, so isolated and so mysterious that we’ll likely never get to see them. The momentary pang of regret at not being able to visit is soon replaced by the relief of knowing that there are still utterly wild places, waiting for future generations. Separated from the outside world by hundreds of miles of thick forest, Cerro Sarisariñama is just such a place. 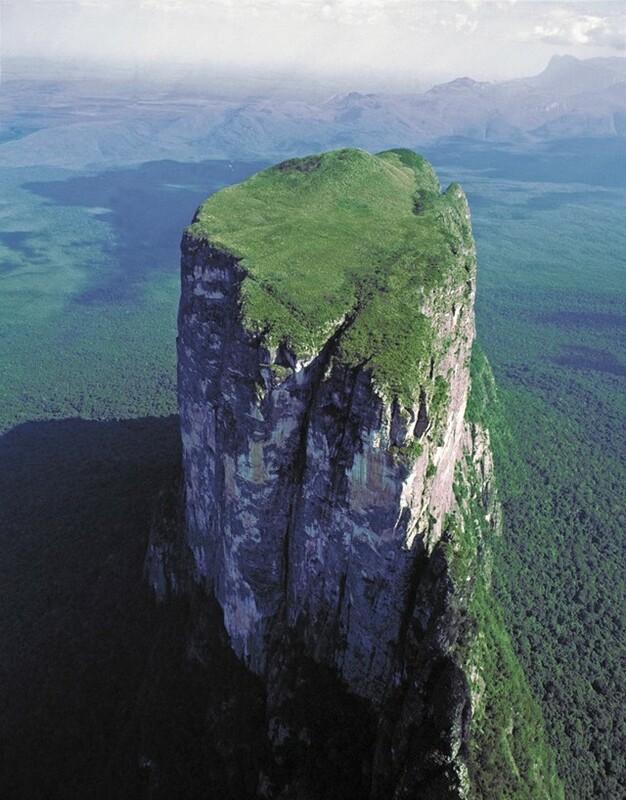 Located in a wild, remote region on the borders of Brazil and Venezuela, Cerro Sarisariñama is a ‘tepui’ – one of a series of unique tabletop mountains that stretch across this densely forested part of the planet. Reaching as high as 2350m, Sarisariñama’s flat summit is totally covered with a dense, 15-25m high forest which stretches across nearly 550 square kilometres. Green and vast, it forms an isolated world high in the sky. This combination of isolation and altitude means many species which live here are endemic – ie, found nowhere else on earth. 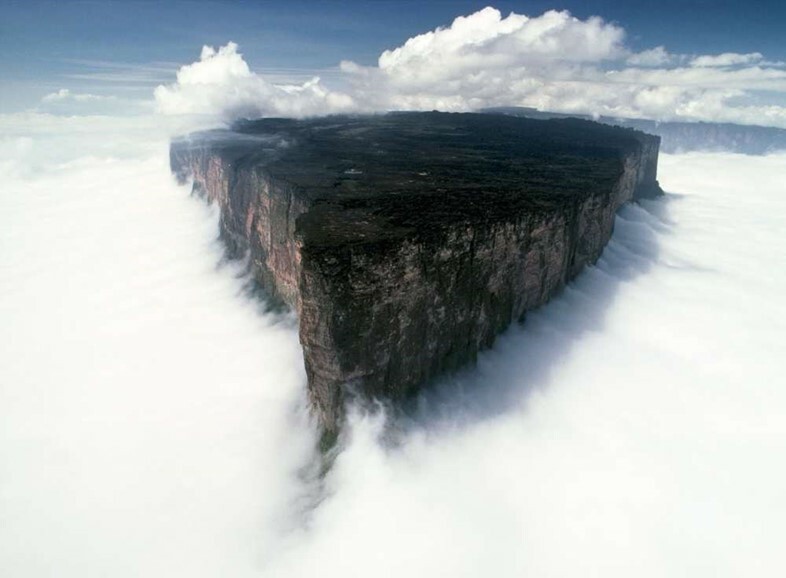 Like the other tepui in the region (which partially inspired Arthur Conan Doyle’s story of living dinosaurs in The Lost World) Sarisariñama lies on the Guiana Shield, a 1.7 billion-year-old Precambrian geological formation that stretches across Guyana, Suriname, French Guiana, Colombia, Venezuela and Brazil. The mountain is made of quartz arenites – the oldest exposed sedimentary rocks on earth. A type of sandstone, it’s incredibly hard, but over the eons the relentless action of water has hollowed out four giant sinkholes (or simas) on the plateau. Measuring more than 350m across and 300m deep, these circular voids in the forest contain their own miniature forests – tiny worlds further isolated from the rest of the planet. First spotted from the air in 1961, they weren’t explored until the 1970s. Even with a helicopter, getting in and out was tricky. Once they’d climbed down into Sima Major, the expedition party found themselves trapped, and began cutting down the trees to clear a landing space to be rescued. 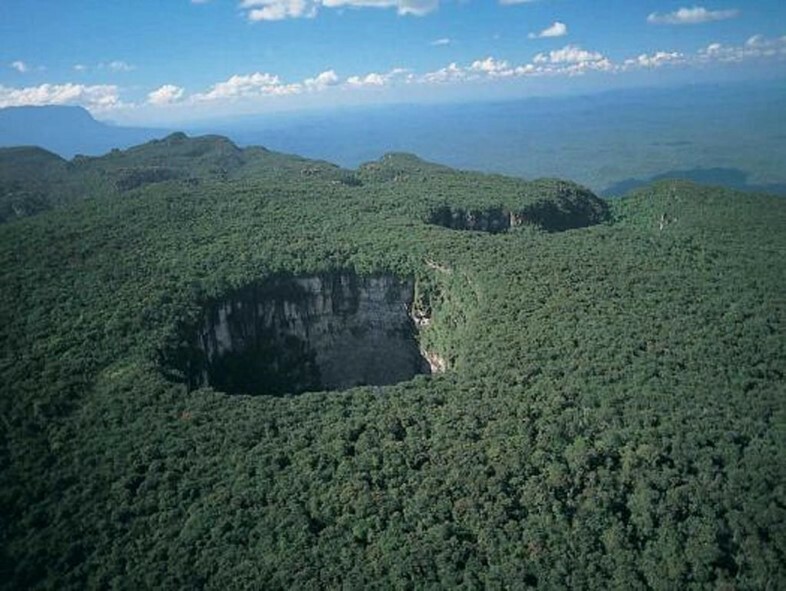 Today, the sinkholes and surrounding area are officially off-limits to everyone except researchers who make the difficult trek to discover new species and unlock other secrets of this unique and precious lost world. Cerro Sarisariñama is located in Jaua-Sarisariñama National Park. Though some expeditions do offer to take tourists on treks up to the top, AnOther does not recommend breaking the rules. 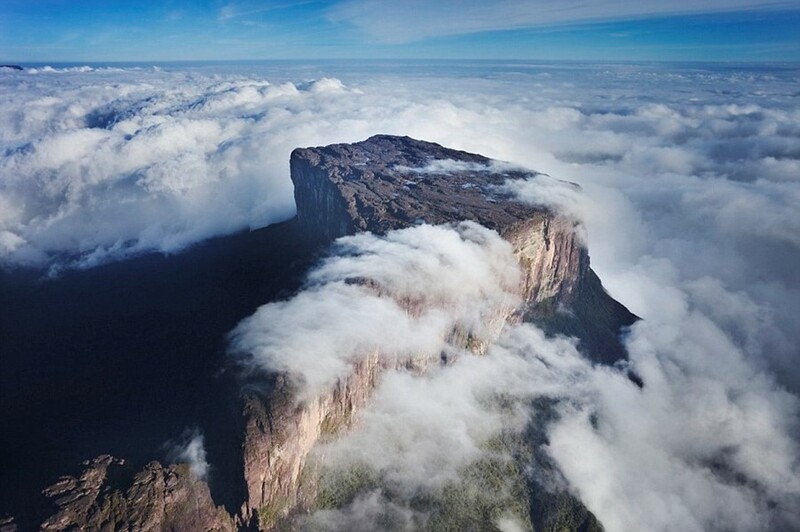 To see the region from above, Tours Venezuela can instead arrange helicopter overflights, as well as trekking on the equally impressive Roraima tepui.